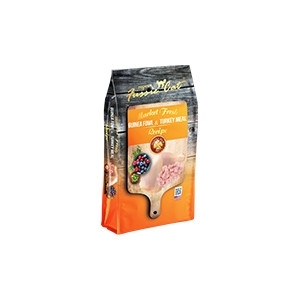 PHYSIOLOGICALLY TUNED™ MEAT FIRST, POTATO, GRAIN, FISH, AND CHICKEN FREE SUPER PREMIUM FOOD FOR CATS. Our Market Fresh recipes are created with the freshest and finest ingredients. Like Guinea Fowl & Turkey Meal, which provides an exotic, high-quality protein that’s lower in fat and calories. Not only are Guinea Fowl and Turkey meal the first ingredients in this Market Fresh recipe, they’re also extremely palatable. Our Fussie Cat Market Fresh Guineafowl & Turkey Meal is completely free of fish and chicken to please even the fussiest of felines. Available in 2lb, 4lb, and 10lb Bags.